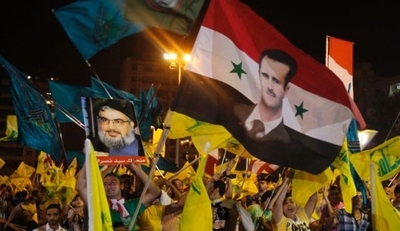 Matthew RJ Brodsky joined Frank Gaffney on Secure Freedom Radio to discuss his latest articles published in The Weekly Standard and the National Review, "U.S. Policy in Lebanon Is Now Helping Hezbollah and Iran" and "Get Rid of the Iran Deal: Here are Four Options," respectively. Brodsky explains how the support the U.S. is giving the Lebanese Armed Forces is directly helping Hezbollah and Iran and that Trump administration policy doesn't seem to have settled on a strategy to push back on Iran. There are also four options to get rid of the nuclear deal with Iran but one of the better plans hasn't received as much public attention.